Guest Post: Jennie on Her Style and Favorite Things to Wear. Hey guys. It is the first Monday of August, WOW! This post is once again scheduled ahead as I am traveling very far away this week. I should be back in Michigan in just a couple of days. I do have one last outfit (of mine) to show you tomorrow though. But first is Jennie's turn to show you guys her awesome style, today. Jennie is a boys' mom in her mid 40s. And she is one of those women who looks just as great whether in casual gear, jeans and Chucks as she does in blouses, pencil skirts and cocktail dresses. You will see for yourselves, below. This woman is super elegant and stylish. 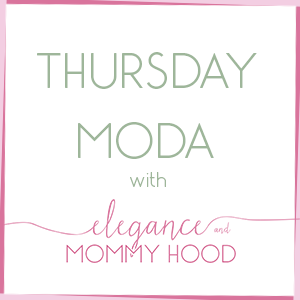 Oh, and she runs a link-up on Fridays called "Charming Friday" which she co-hosts with another stylish mamma Susan. So make sure you stop by on Fridays and link up with them. Hi y'all! I'm Jennie and I blog over at A Pocketful of Polka Dots. I am so happy to have the opportunity to introduce myself to you while Ada is enjoying time over here in the states. I love Ada's fun style and her fearless fashion sense! Since this is an introduction of sorts for some of you, I thought I would share with you a mix of a few of my favorite things to style and looks you will find on my blog regularly. Graphic Tees - I am a huge fan of a fabulous graphic tee and love them dressed up or down. Until a couple of years ago I didn't own any graphic tees at all. Now I always keep my eyes open for the next cute tee to take home with me! 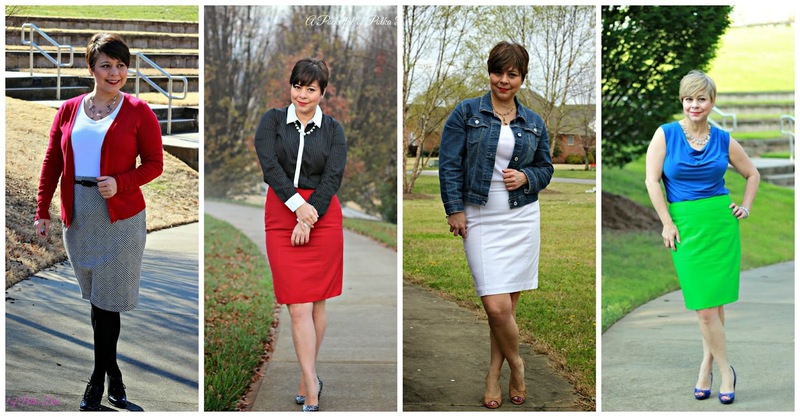 Pencil Skirts - As a business professional, pencil skirts are highly favored in my wardrobe. I am constantly adding new colors to my collection because I love a wide variety, and, let's face it, pencil skirts are always in style. I have enjoyed learning to dress them down, and I am also embracing more patterned pencil skirts, as well. Shoes! - Because I love All the shoes and cannot seem to say no when I see a pretty pair (and the times I did say no I usually regretted it later). 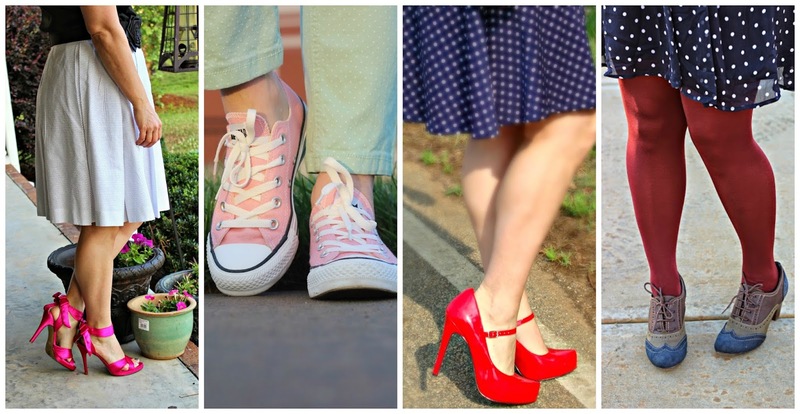 So I do feature a wide variety of fashionable and colorful shoes on my blog daily. Polka Dots! - As you may have already deduced by my blog's name, I am also a lover of polka dots and have been for as long as I can remember. 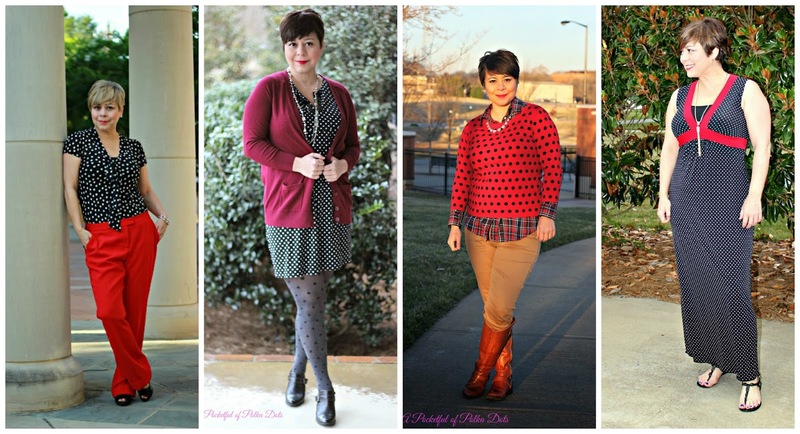 So as you may imagine, polka dots have their fair share of air time on the blog. I certainly do not wear them all the time, but I have more than enough in my closet! So those are just a few of the kinds of things you will see on my blog. I hope you will come by and check it out sometime. Meanwhile, I am so happy to be guest posting for the sweet, Ada, and having the opportunity to help her out so she can truly enjoy her time away. It was wonderful to meet y'all! And thanks for stopping by. I won't be able to do a lot of reading and commenting in the next couple of weeks - sorry.